Oriental lily hybrid — more than a dozen flowers on the one stem. Many a lucky woman has been given the name Lily. Lilies represent innocence and purity, elegance and beauty. If you grow them in your own garden, you know why. The common Lilium hybrids are easy to grow, naturalize, are long-blooming and match just about any color palette. Another amazing thing about lilies is that they take up very little space — growing straight up from the bulb. 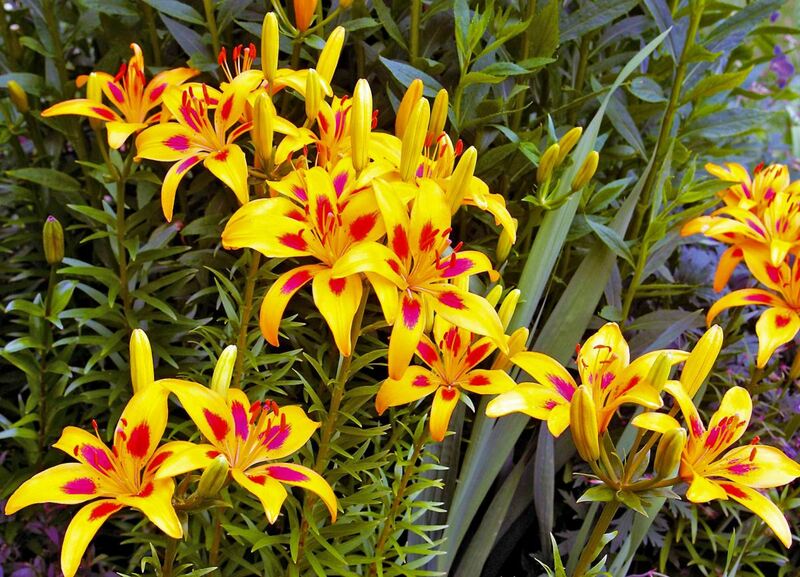 Any sunny garden, regardless of size, can accommodate lilies and have them blooming all summer long. ‘Muscadet’ Oriental lily reaches 6 feet tall in bloom. It’s no surprise that lilies are also a staple of the commercial floral trade: They last forever in a vase, opening from the buds in succession long after harvesting. The flowers are large and dramatic, with a color range that represents all but the elusive true purple and blue. Add to this to the fact there are lilies with no fragrance for those who are sensitive (some hospitals won’t allow the delivery of fragrant flowers) and it’s easy to see why they make anyone swoon. The genus Lilium is made up of around 115 species, but most of the lilies offered for sale are hybrids of fewer than 10 of the most disease-resistant and amenable to commercial production. 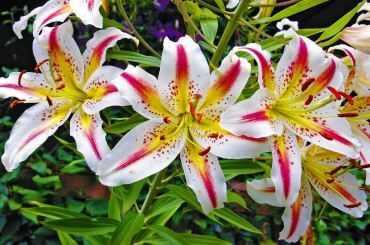 These hybrids grow well in zones 4-8, with Asiatic lilies growing in zone 3, Orientals in zone 5 or higher. Generally speaking, lilies, like Clematis, appreciate full sun on their heads and shade at their feet. 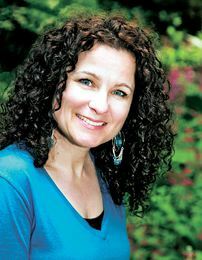 Simply put: surrounded by groundcovers and perennials that shield the soil from intense heat. Stand of ‘Casa Blanca’ Oriental Lilies in August. So, how to have lilies in bloom throughout the summer months? Grow at least these three types of hybrids: Asiatic, Trumpet and Oriental. The durable Asiatics kick off the parade in June sporting bright, hot-hued flowers on their thick stems. The Trumpet lilies make a showing in July, with their tall and willowy stems and long, waxy flowers heavy with fragrance and more subdued in color. Then, depending on the hybrids you select, the end of July through the middle of August is dominated by the huge flowered, potent fragrance of the “Orchid Lilies,” as Orientals are often called. You may recognize the Asiatics and Orientals from floral arrangements — both are well-known in the florist trade. Trumpets more closely resemble what we know as the sweetly scented Easter lily, Lilium longiflorum, whose bloom time, when left to nature, is actually late July to early August. LA hybrid Conca D’Or features heavenly perfume. These types have been bred with each other to produce the LA hybrids (a combination of longiflorum and Asiatic), and OT or Orienpet, which are a cross between Oriental and Trumpets. What this means is an endless selection of fabulous flowers in so many colors, forms, fragrances and heights — each one seems more charming than the next. Those lilies grow best in well-drained soil that has been amended with compost. Not too rich, not ever wet. In areas with heavy soil that doesn’t drain, consider raised beds or containers. Lilies perform well in large containers and the dwarf hybrids are the perfect scale for pots. Plant in areas where the soil is left alone, as digging can damage the brittle bulbs. Many of the hybrids are long-lived, producing many additional bulbs in the soil around the original. Asiatics are known for naturalizing from the parent bulb as well as from smaller bulbils that grow along the main stem and drop off into the soil. Asiatic lily hybrid started as five individual bulbs and ten years later is four feet wide swath. Lily bulbs are large and fleshy, made up of layers of overlapping scales. The bulbs put out roots from the base but the parts of the stem under the soil surface will also form roots to help anchor the tall stalks that can become quite heavy. 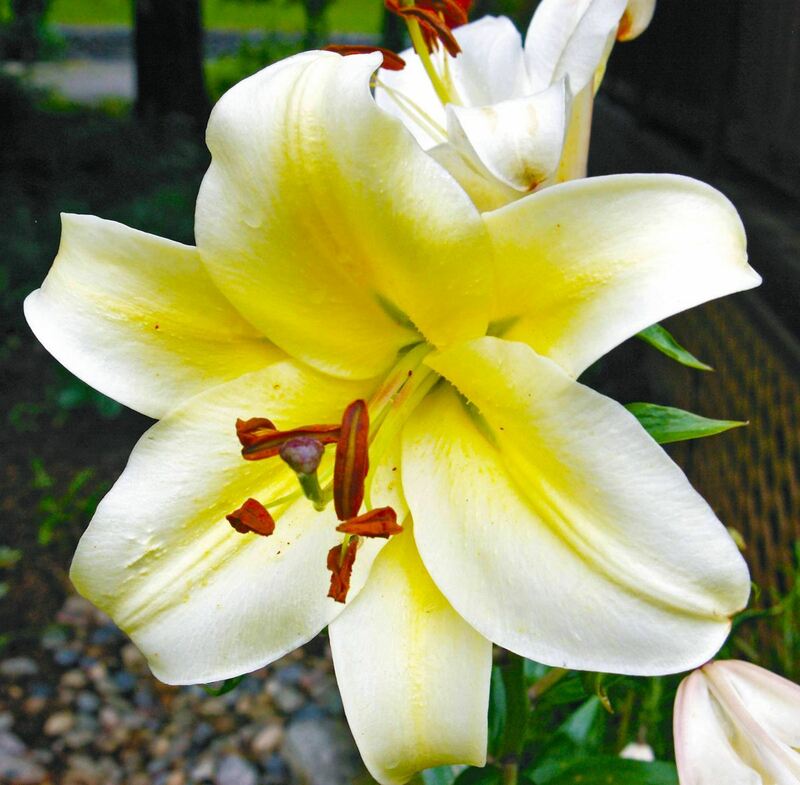 It’s not unusual for a lily that has been in the ground a few years to produce more than 10 flowers on one stem. Trumpet lilies often need staking, as do those that do not get enough sun or are weighted down by a heavy summer rain or irrigation on the flowers. 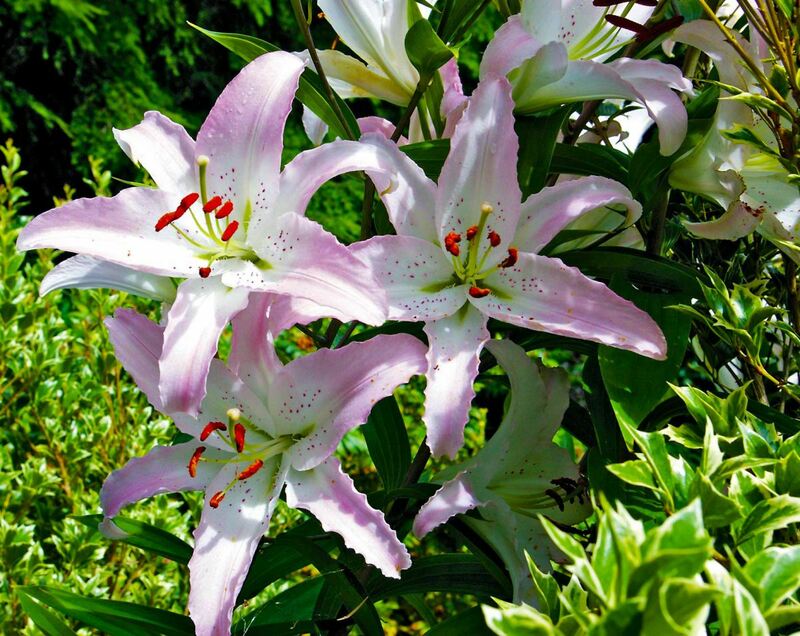 Lilies are best watered with drip systems or by hand, as wet flowers spoil faster, are more susceptible to botrytis and — white flowers especially — will be stained by their saffron-colored pollen. 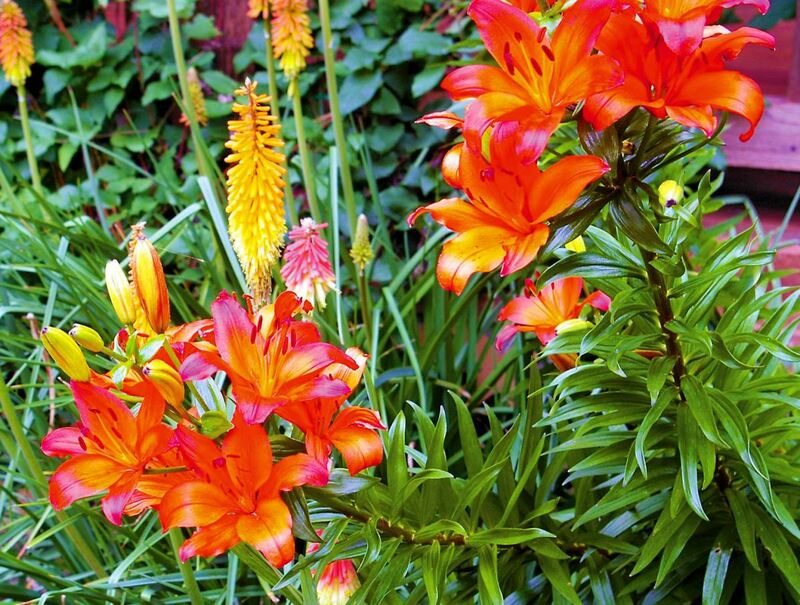 Asiatic lily hybrid blooms in tandem with Red Hot Poker late June into July. 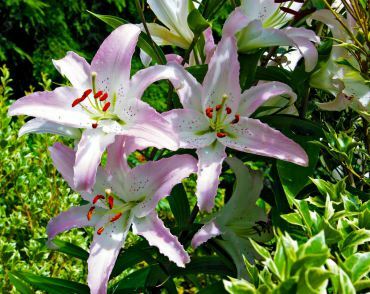 Lilies are not affected by many diseases, though botrytis and viruses sometimes occur. Keep an eye out for occasional aphids — wash them off with a jet of water. Aphids carry incurable viruses that can cause discoloration and disfigurement of lilies. Slugs, deer and rabbits love the tender new growth of lily shoots when they first peek out of the ground in early spring. Baiting early and applying repellent is important, as each bulb only sends out one stem. Since lily bulbs never truly go “dormant” like daffodils and other bulbs, care should be taken when transplanting them and when buying new. They have no papery protective cover and are susceptible to drying out, so should never be stored in heated areas. 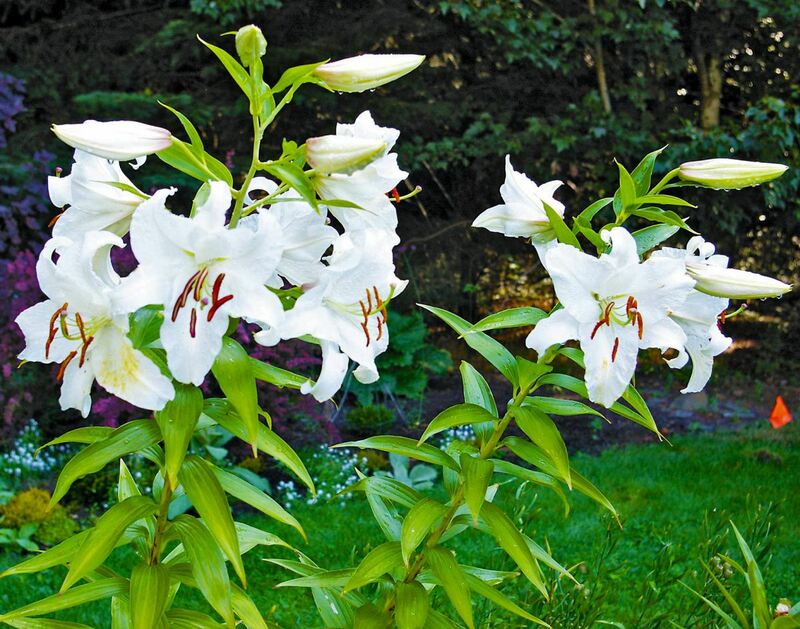 There are many companies in the Pacific Northwest that grow lilies and sell them via mail order. The advantage of buying this way is that the bulbs are shipped at the appropriate time for this climate (harvested October through January) and arrive fresh. When buying off the shelf, bulbs should be firm, white to yellow or pinkish white, depending on the hybrid, and show no signs of dying tissue, spots, shriveling or mold. If the bulbs are starting to send out shoots, they have been stored too long or subjected to too much heat. Summertime is lily time. If you’re missing out on these easy to grow beauties, scout out a full-sun, well-drained area now so you’ll have just the spot come fall when the bulb catalogs start to roll in. 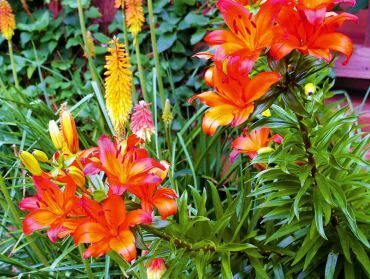 Pacific Northwest Lily Society — For NW sources of lily bulbs, information on care, gorgeous pictures, and more. “The Gardener’s Guide to Growing Lilies” by Michael Jefferson-Brown & Harris Howland, 1995. Timber Press, Inc.
“Lilies: A Guide for Growers and Collectors” by Edward Austin McRae, 1998. Timber Press, Inc.